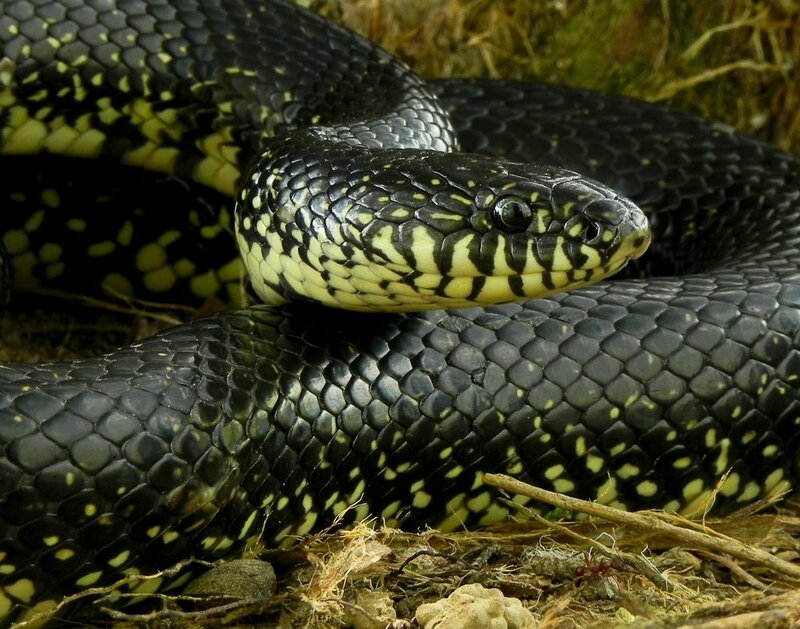 Description: A shiny, mostly jet black snake with whitish, yellow or creamy belly. 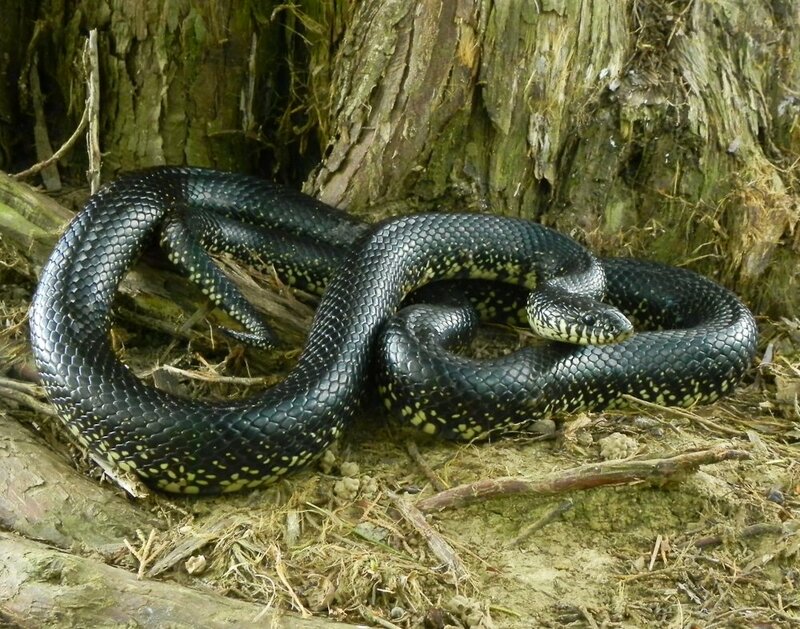 Some spotting may occur particularly along the sides near the belly. 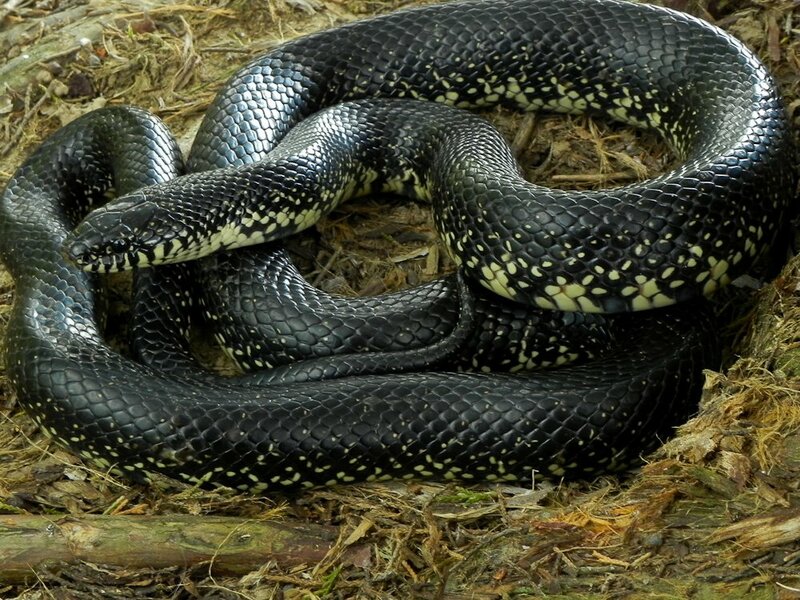 Usually averages from 36 - 45 inches in length. 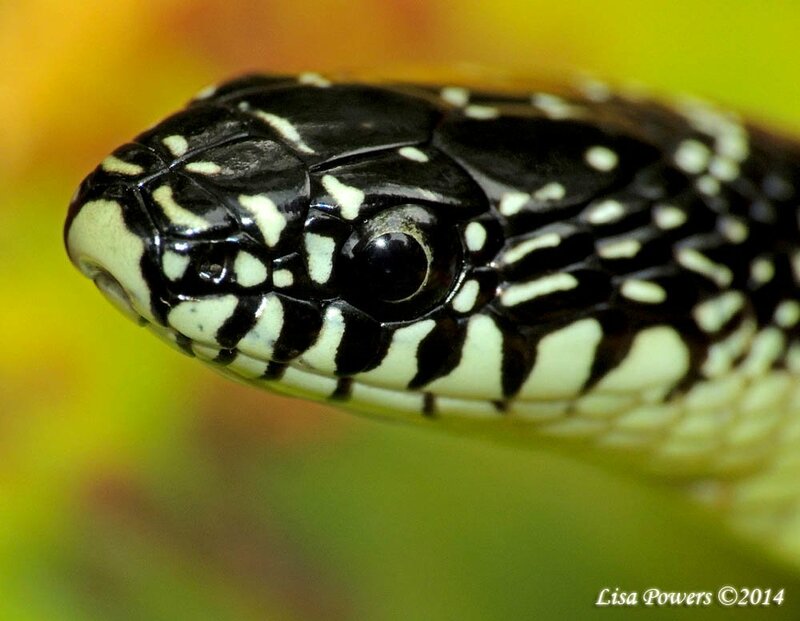 The head is not significantly offset from the body. 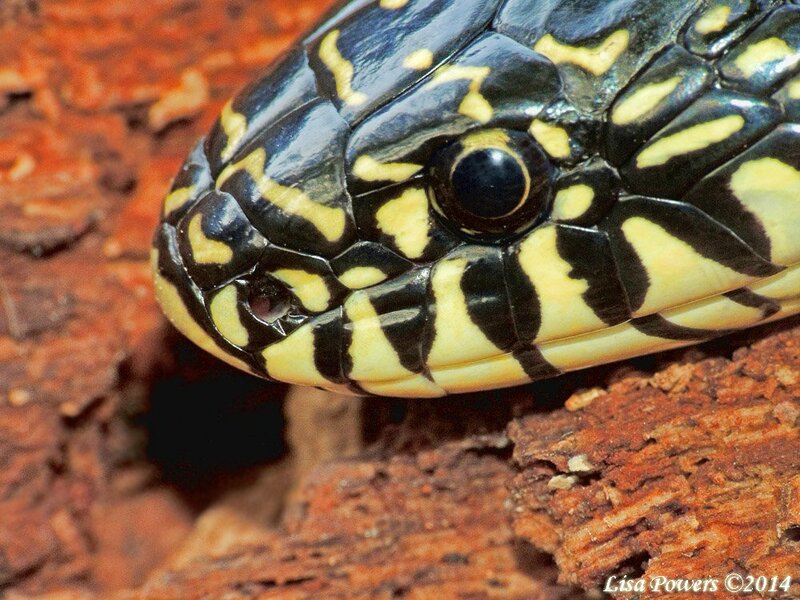 Juvenile snakes usually have yellow, white or creamy banding that disappears as the snake matures. 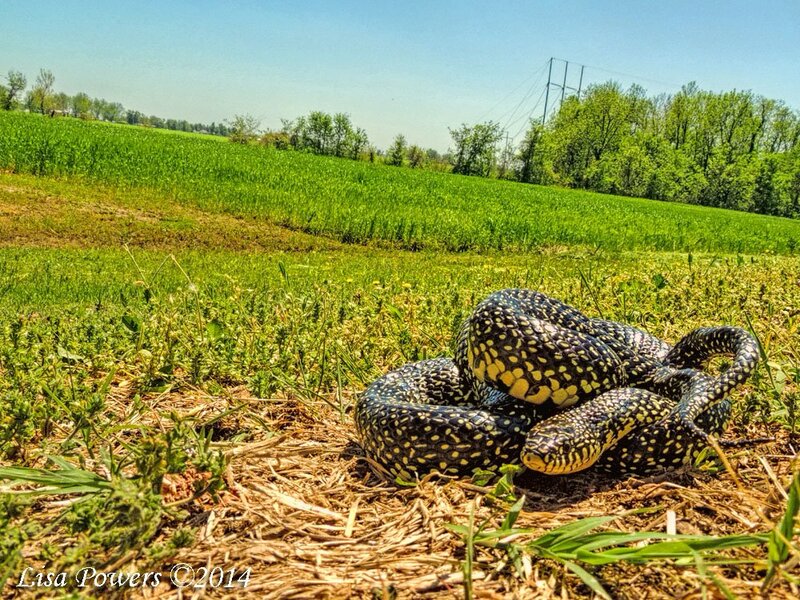 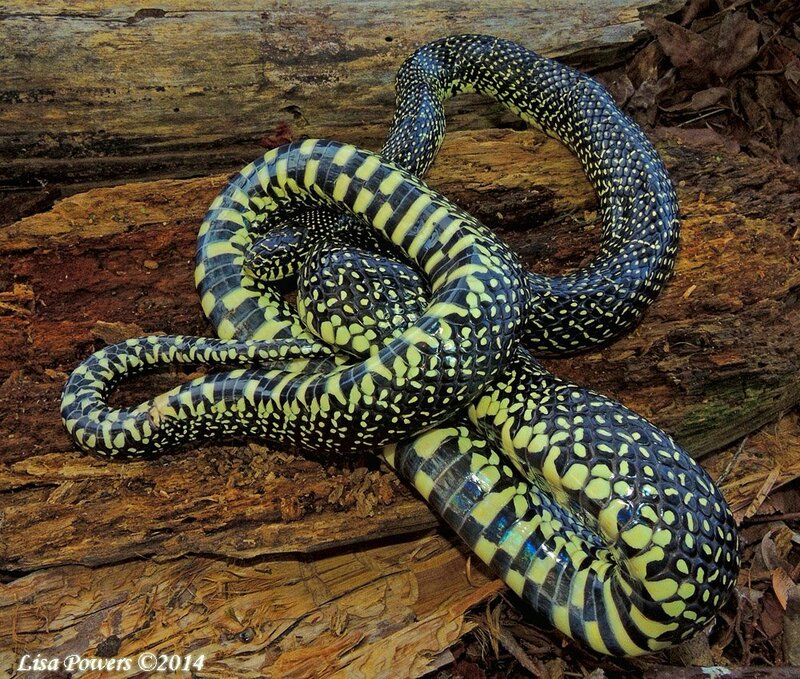 Additional Notes: May be some hybridizing with the Speckled kingsnake in the far northwestern corner of the state along the Kentucky border. 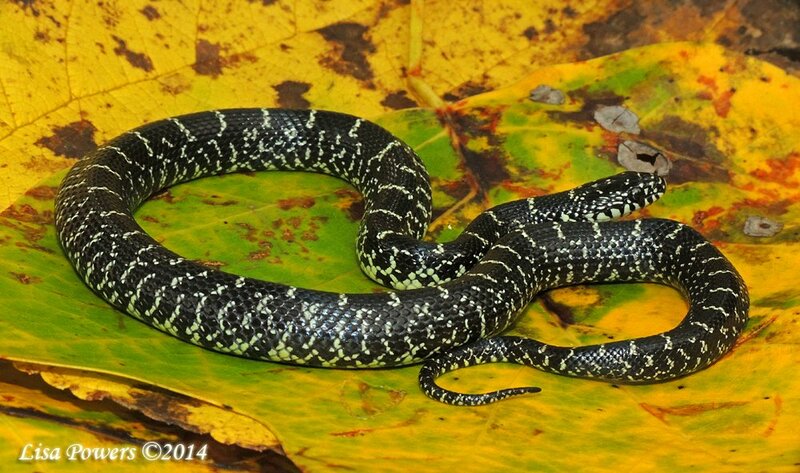 Subspecies Occurring in Tennessee: No sub-species occur for this species. 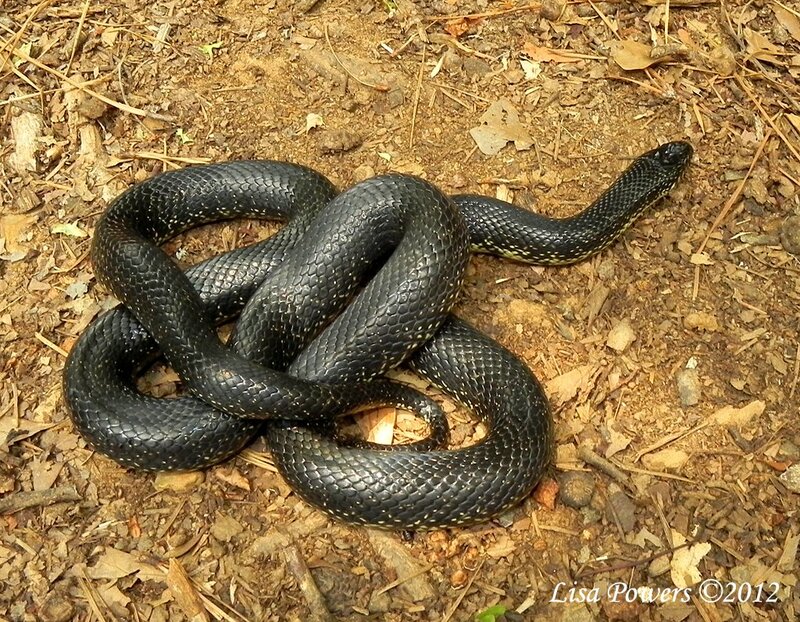 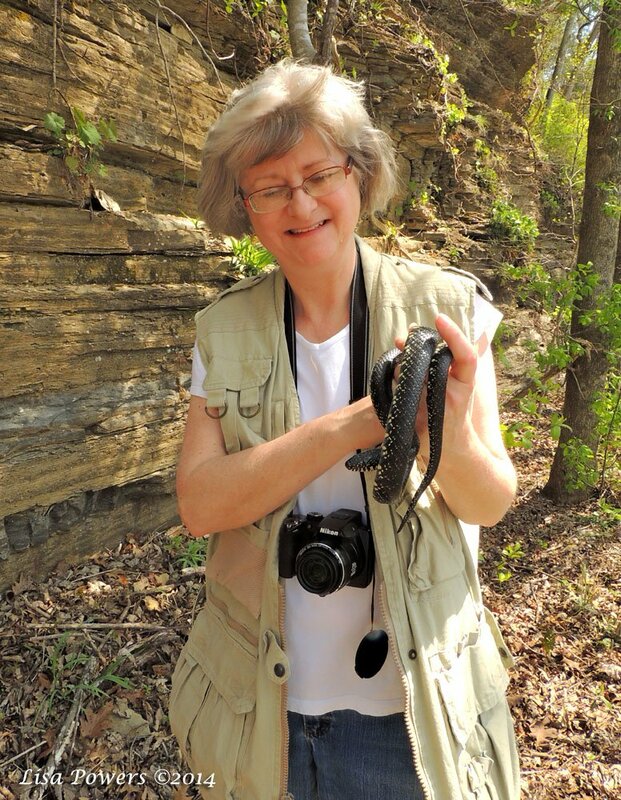 This specimen is from far northwest Tennessee is likely a hybrid between Lampropeltis nigra x L. holbrooki.